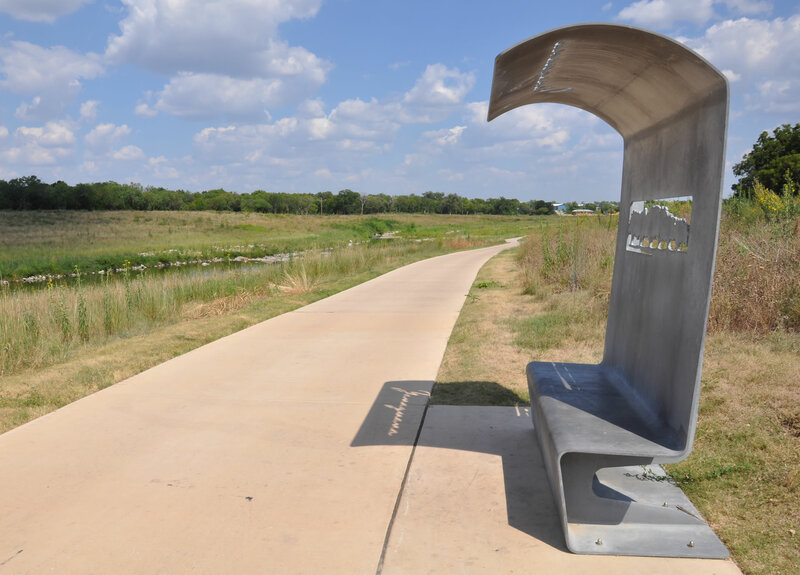 Inspired in part by the clean lines of Scandinavian design, an art bench by Riley Robinson can be found near Mission Parkway, south of the Espada Dam. The bench is made of a single piece of galvanized steel folded into a shaded bench form. 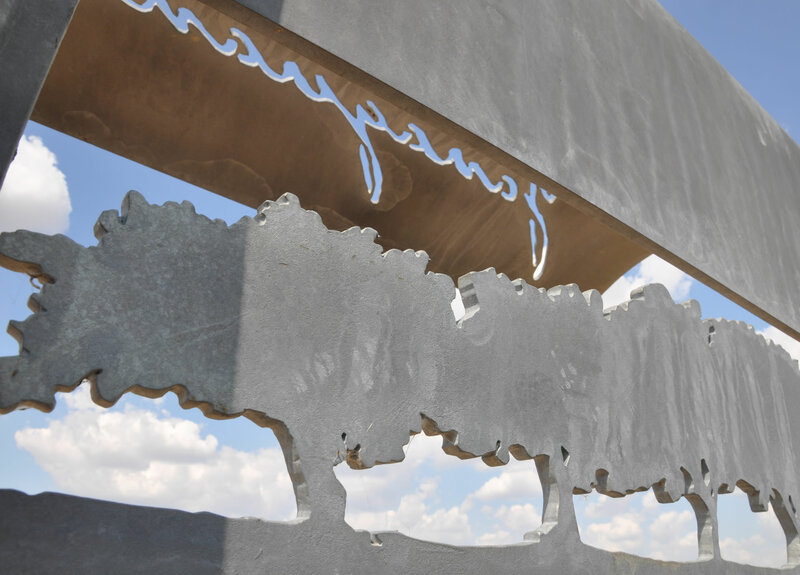 Cut into the steel are images of native plants and the historic name for the San Antonio River—Yanaguana. As the sun passes overhead, the images on the bench form shadows across the trail.